Disney Channel has some big things coming! 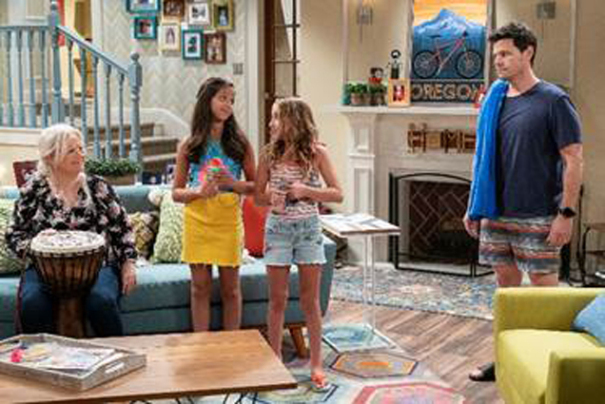 Come early 2019, you'll be able to watch Sydney to the Max, a new series following middle-schooler Sydney Reynolds (Ruth Righi) and her single dad Max (Ian Reed Kesler) as they navigate the challenges of growing up. The amazing twist? The show is set in TWO timeframes. We'll give you a sec to collect yourself because, like, wow. Sydney to the Max will flashback to scenes of young Max and his best friend Leo in the 1990s which just-so-happen to parallel the funny predicaments Sydney and her BFF Olive end up in during present day. Also exciting: Disney Channel is now officially casting for High School Musical: The Musical, a new docu-style series on Disney's upcoming streaming service that follows a group of students at East High who stage a performance of “High School Musical” for their winter theater production, only to realize that as much drama happens offstage as onstage. Each episode will feature a different song from musical. So if you want to be the next Troy Bolton or Gabriella Montez, now's your chance! Which HSM character is your fave? Share in the comments!